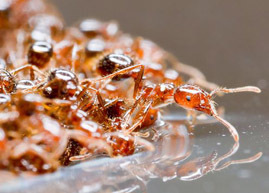 Engineers and evolutionary biologists in Scotland and France recorded the boatman—which is roughly the size of a grain of rice—”singing” in a tank. The aquatic insect’s songs peaked at 105 decibels, roughly equivalent to the volume of a pounding jackhammer within arm’s reach. Andreas, an IT guy in Austria who didn’t want his last name used for this article, started out as a hobbyist. He customizes Lego ”minifigs” — the plastic characters that come with a Lego toy set — to create historically accurate dioramas, or three-dimensional models. 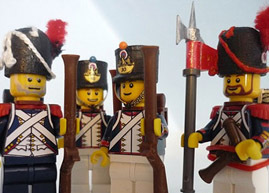 Lego had stopped making a specific hat that made his Napoleonic figures accurate. With no experience in product design and no access to a factory, he designed a new hat and had it 3-D printed. How about picking up the latest issue (Mar-Apr 2011) of Mental_Floss? You’ll find my piece on nuclear waste disposal, with all the crackpot theories that were once proposed, is on pages 30 and 31. These days, plenty of robots have landed on other planets and been put to work. 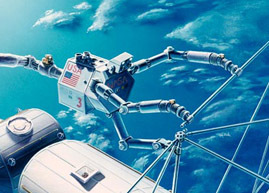 Still, building a machine that can operate in microgravity around humans but without human control was a unique challenge. The mature, responsible R2 owes its shot at glory in space to a host of robotic “ancestors,” earlier androids that never left Earth as well as less human-like machines that are already hard at work on the ISS. Because wind power is generated only when the wind blows, and solar energy isn’t collected on a cloudy day, technologies that can store extra power when it’s not being used and mete it out when needed are becoming increasingly important. Since June 2010 six men�three Russians, two Europeans, and one Chinese�have been living in isolation in a 19,423-cubic-foot (550-cubic-meter) “spaceship” outside Moscow, doing maintenance work, conducting experiments, and trying to stave off boredom by playing Rock Band and reading the complete works of Gabriel Garc�a M�rquez. Harry Potter and Bilbo Baggins, take note: Scientists are a step closer to conquering the “magic” of invisibility. Many earlier cloaking systems turned objects “invisible” only under wavelengths of light that the human eye can’t see. Others could conceal only microscopic objects. But the new system, developed at Massachusetts Institute of Technology and the Singapore-MIT Alliance for Research and Technology (SMART) Centre, works in visible light and can hide objects big enough to see with the naked eye.